WASHINGTON, D.C. — As most of you across East Alabama saw in the news recently, special counsel Robert Mueller ended his investigation. Over the past two years, the mainstream media has been relentlessly beating the drum that there was Russian interference in the 2016 presidential election. Democrats and their friends in the mainstream media continued to push a false narrative that turned out to be just another political hoax. Ironically the debunking of the Russian collusion hoax has pulled the curtain back on the deep state and the two-tier justice system run by a handful of corrupt FBI and intelligence community officials. They must be fully exposed and held accountable. What this group of government employees attempted to do was tantamount to a coup against the duly elected president. It is truly amazing what President Trump has accomplished in little over two years, while the only thing Congressional Democrats have done is push fake stories and lies. Our economy is booming, the tax cuts are working, the Border Wall is under construction, the military is being rebuilt, ISIS is defeated and unfair trade deals are being rewritten. Compare that to the Democrat platform of Socialist health care, the Green New Deal and infanticide. It is not difficult to figure out who is winning. 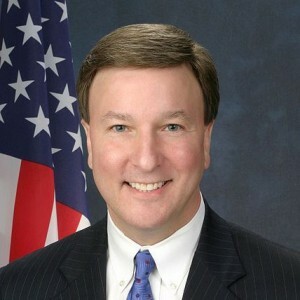 U.S. Rep. Mike Rogers is a Republican from Saks. WASHINGTON, D.C. — Washington has been a busy place since the 116th Congress convened in January. With the House of Representatives now under Nancy Pelosi’s leadership, every single day is an uphill battle to preserve our rights and values. Border security, which used to be a bipartisan issue, has been a huge fight. With the national security and humanitarian crisis at our border you would think now would be the time to work together. Instead of working to secure our border for the good of our country, whatever President Trump is for, the socialist Democrats are against. After President Trump’s Declaration of National Emergency at our Southwest border with Mexico, Democrats ignoring reality voted to block it. I held a live tele-town hall call last week and polled those participating to see if they support President Trump’s Declaration of National Emergency. Overwhelmingly, over 90 percent of the participants do support it. As if the fighting over America’s security is not enough, the left is coming after our guns. The House passed without my support, H.R. 8 and H.R. 1112. Luckily for those of us that support the Second Amendment, the bills aren’t going anywhere in the Senate, but it shows folks where this new majority stands on gun ownership. The bills would both make it tougher on law-abiding gun owners. The Second Amendment is important to me and our right to bear arms is something I will continue to make sure is preserved. Liberals are also making me sick with their stance on the most innocent. Republicans have repeatedly asked for unanimous consent to bring the Born Alive Abortion Survivor Protection Act to the Floor for a vote. This legislation would keep the babies born after a botched abortion safe from being murdered after they have taken their first breath. Democrats have blocked this bill from coming to the Floor 13 times as of writing. It is unconscionable. If they are not willing to bring this bill to the floor, then Democrats are supporting infanticide. I will continue to fight for our conservative values and our nation’s security here in Congress. As always, I want to hear from you on this or any issue. Please sign up for my e-Newsletter and the Rogers’ Roundup by visiting www.mikerogers.house.gov. To stay up to date, you can also like me on Facebook at facebook.com/CongressmanMikeDRogers, follow me on Twitter and Instagram using the handle RepMikeRogersAL and subscribe to my YouTube page at youtube.com/MikeRogersAL03. As most folks may have seen on television, on Tuesday, February 5, President Donald Trump made his way to the House of Representatives chamber to finally give his State of the Union address to Congress and to all Americans. I was thrilled with President Trump’s inspiring vision for our nation. And I was particularly pleased with his tone and call for unity across party lines. This State of the Union address was delayed due to the partial federal government shutdown that dragged on for 35 days. The rescheduled speech happened to be on the heels of an impressive Jobs Report for January that was released on Friday, February 1. Over 300,000 jobs were added proving that our economy is truly booming under President Trump’s leadership. I strongly support President Trump’s call to secure our porous Southwest border with Mexico. Our sovereignty during this national security and humanitarian crisis at the border has become threatened all over two words: border wall. Semantics are taking our security hostage. Call it whatever you want, but walls work and we need one now. As the top Republican on the Committee on Homeland Security and a senior member of the House Armed Services Committee, our country’s security is one of my top priorities and I will continue to support President Trump as he works to secure our border and keep our nation safe. As a father of three, I was pleased to hear President Trump talk about the importance of every life – born and unborn. The recent news from New York and Virginia on late-term abortions is plain and simple murder. I appreciate President Trump’s strong stance on this issue and will always stand up for the rights of the unborn. They are precious gifts from God. As we move forward, I hope Congress can come upon an agreement to secure our borders and finally build the wall. On January 3, the 116th Congress convened under the control of Speaker Nancy Pelosi. As folks across East Alabama know, a few days before Christmas, the federal government partially shutdown because of the Senate’s unwillingness to consider House passed legislation that funded the government for the rest of the fiscal year along with over $5 billion for the border wall system. I, along with many of my House Republican colleagues, stand with President Trump that we need to build the border wall on our Southwest border with Mexico. Now, we find ourselves in a new year and a new Congress with the federal government partially closed, as of this writing, and the crisis continues unabated at our border. Thousands of people from Central America continue to make the extremely dangerous journey, putting themselves and their children in harm’s way, drawn here because of our porous Southwest border. The continued availability of this illegal entryway only exacerbates the humanitarian crisis. This is in addition to the national security crisis America faces because of all the things we don’t know about the folks coming here illegally. As of now, Democrats are coming to the table with no solutions or offers of compromise, but just simple refusal to build a wall. As if the Democratic shut down wasn’t enough, when Pelosi took control of the House, Democrats hit the ground running to push a liberal agenda from day one. Our first week back, Democrats voted to raise taxes on working families as well as allow our taxpayer dollars to be used for abortions in foreign countries. Talk about what’s truly immoral. They also passed what I called in my House Floor speech a “smoke and mirrors” vote to reopen the government without a cent of funding for the border wall. But of course, instead of staying in town to do their jobs and find a way to reopen the federal government, Democrats blocked that vote and headed home for the weekend. As the incoming Ranking Member on the House Committee on Homeland Security, securing our borders is a priority for me. I will continue to stand with President Trump because I know firsthand how dangerous the situation is if we don’t take control of our borders. A sovereign nation is a nation with borders. To stay up to date, you can also like me on Facebook, follow me on Twitter and Instagram using the handle RepMikeRogersAL, and subscribe to my YouTube page. Every year during the Christmas season, I like to highlight just a few of the things folks across East Alabama are doing for each other. Below is a small sample of ways our fellow Alabamians have cared for each other over the past year. In Talladega County, The Care House in Sylacauga helps provide food and clothing all year round for any individuals who need it in the area. In Clay County, the Modern Culture Club/Inter-Se Club hosted their annual soup luncheon mid-November to raise money for the local DHR so they could purchase Christmas gifts for local children. This year in Calhoun County, Brad Young with Insurance Planning of Anniston staged his disaster relief vehicle at K.L. Brown Funeral Home in Jacksonville. He provided meals and a place for folks to charge their cell phones after the tornado and storms devastated the area in April. Also in Calhoun County, Piedmont High School students held their annual Seniors Helping Seniors program in March. This program provides services of high school seniors in assisting local senior citizens with errands or chores relating to Spring cleaning. In Randolph County, Handley High School band director Matthew Goodman jogged over 400 miles from Roanoke to New Orleans to raise money. The money raised will help cover the costs so all of his band students would have the opportunity to perform in the 2019 Allstate Sugar Bowl Marching Band Program. In Macon County, the Tri City Church/Macon County Food Bank- will supply food boxes, turkeys, clothing and toys for families in need throughout Macon County. In Cleburne County, the community came together and raised money to help the Willingham family pay for their child’s cancer treatments. In Cherokee County, a program called Jobs for Alabama’s Graduates (JAG) supports at-risk students and helps them graduate from high school. In Smiths Station in Lee County, “Love Touch Assisted Living” Veterans Home served a Thanksgiving meal to local Veterans and will be providing each of them with new gloves, hats and coats for Christmas. It always warms my heart to learn about these acts of kindness. Let’s keep that spirit up throughout the year instead of just during the holidays. As always, I want to hear from you on this or any issue. Please sign up for my e-Newsletter by visiting my website. To stay up to date, you can also like me on Facebook at Congressman Mike D. Rogers, follow me on Twitter, Pinterest and Instagram at RepMikeRogersAL, on Tumblr and you can also subscribe to my YouTube page at MikeRogersAL03. Recently, I led a group of local leaders in Calhoun County, including Alabama Senate President pro tempore, Del Marsh, to visit and tour the Center for Domestic Preparedness (CDP) in Anniston. While the CDP has a huge local economic impact, it is so much more. Since 1998, the CDP has trained over a million first responders. Folks come from all over the world to train at this world-class facility. The CDP is funded by the Department of Homeland Security (DHS). I have served on the House Committee on Homeland Security since it was formed in 2005. I have long supported the CDP and its mission, and now am working to help spread awareness of their work both locally and globally. It’s no secret that we live in a dangerous world, and the CDP provides live agent and biochemical training to first responders. The facility also has mock scenes created on-site – from a subway to an earthquake to a hospital – so that different variations of training on different levels can be experienced. It’s one of a kind and it is right here in our backyard. Another great national security asset we have right here in our backyard is our canine programs. I was thrilled this week to see the text of my canine legislation pass the House of Representatives. H.R. 4577, the Domestic Explosive Detection Canine Capacity Building Act, was included in the FAA reauthorization bill. My bill would increase the number of working dogs bred and trained in America versus purchasing the majority of our working dogs from Europe. I support American dogs protecting Americans and I support the private sector being a full partner in our security. The canines used in the transportation sector – from train stations to airports – are not only the most cost-effective, but also the most efficient option to detect explosives. They are more proficient than any machine on the market. I have always been and will continue to be an advocate for the increased use of canines to protect our homeland. I was also happy to have my language updating the Screening Partnership Program (SPP) passed the House as well. It will allow airports more flexibility when dealing with TSA and even allow them to choose private screeners with new technology and innovations to better enhance security of passengers. I want to hear from you on this or any issue. Please sign up for my e-Newsletter by visiting my website. To stay up to date, you can also like me on Facebook at Congressman Mike D. Rogers, follow me on Twitter, Pinterest and Instagram at RepMikeRogersAL, on Tumblr and you can also subscribe to my YouTube page at MikeRogersAL03. Every August, Congress takes a District Work Period so members have extra time to spend across their congressional district. Although I live in Weaver full-time and am home when I am not in Washington for votes, it is always wonderful to have some uninterrupted time in East Alabama. During my time in August, I got to visit with a lot of folks at my six different “Congress on Your Corner” town hall events. I was able to talk directly to folks about issues going on in local communities from Woodland to Ashland. I also visited and toured several companies and small businesses. One thing I heard on repeat was how the recent tax reform legislation was helping these businesses thrive and putting more money back in the pockets of their hardworking employees. I met with my Third Congressional District Veterans Advisory Committee to stay on top of the issues that Veterans in our area are facing so that I can take those concerns straight to Washington. I had several meetings with East Alabama’s farmers. Agriculture is such an important driver of our State’s economy. As the only member of the House Agriculture Committee from the State of Alabama, it is crucial that I know exactly what the needs are of our farmers and producers. As a conferee on the 2018 Farm Bill, I want to make sure our state’s agriculture sector has a direct line to me so I can fight for them as we finalize this critical piece of legislation. I toured career technical centers and was able to tell them about the exciting Carl Perkins legislation that passed the House with my strong support. It’s the most monumental legislation we’ve passed for our career tech students. I also got to sit down with local elected officials and leaders from across East Alabama to ensure I know what’s going on in their towns so I can continue to be an advocate for their needs in Congress. It was a busy time with lots of travel, but I am pleased with all we accomplished and will head back to Washington with an updated “to do” list for the Third District. As we get back to work, I am excited to continue pushing President Trump’s America First agenda for our great nation. I want to hear from you on this or any issue. Please sign up for my e-Newsletter by visiting this link. To stay up to date, you can also like me on Facebook at Congressman Mike D. Rogers, follow me on Twitter, Pinterest and Instagram at RepMikeRogersAL, on Tumblr and you can also subscribe to my YouTube page at MikeRogersAL03. Folks across East Alabama may have recently seen the Department of Justice (DOJ) Inspector General (IG) Report findings were released. The IG report details the mishandling of the FBI investigation involving Hillary Clinton and her private email server. Anyone that denies that the FBI’s Clinton investigation was rigged in her favor is delusional. The political bias clearly shown during the investigation and the double standard of justice was rampant and deliberate. This is the same crooked group at the FBI that started the investigation of President Trump that led to the appointment of Special Counsel Robert Mueller. Mr. Comey was FBI Director at the time the investigation was started. The IG found his actions at the FBI were insubordinate and he may currently by under investigation for leaking classified material. Deputy Director Andrew McCabe was fired and is under investigation for lying to investigators. Special Agent Peter Strzok has clearly demonstrated his hate and contempt for President Trump through his texts. He most recently was escorted out of the FBI headquarters. Congressional investigators now believe FBI documents may have been altered to convict Michael Flynn after the two FBI agents that interviewed him found him to be truthful. We are also now finding out about FBI spies being planted inside the Trump campaign along with FBI abuse of the FISA warrants. If all of this pans out, which I believe it will, there was no original basis for appointing Robert Mueller. As I discussed during my Fox Business interview this week, the Mueller witch hunt needs to be shut down immediately. We cannot continue to let it go on and be a distraction for the American people and Trump Administration. Our economy is booming, unemployment rates are low and the American Dream is back – but with this nonsense continuing on the side – it is hard to focus on our goals. Please sign up for my e-Newsletter by visiting my website. To stay up to date, you can also like me on Facebook at Congressman Mike D. Rogers, follow me on Twitter, Pinterest and Instagram at RepMikeRogersAL, on Tumblr and you can also subscribe to my YouTube page at MikeRogersAL03. As a senior member of the House Homeland Security Committee, the wall remains a priority for me. I will continue to support President Trump in this effort and help him in keeping his promise to the American people. Please sign up for my e-Newsletter. To stay up to date, you can also like me on Facebook at Congressman Mike D. Rogers, follow me on Twitter, Pinterest and Instagram at RepMikeRogersAL, on Tumblr at and you can also subscribe to my YouTube page at MikeRogersAL03. Congressman Mike Rogers is a Republican from Semmes. As folks across East Alabama have seen on the news, after a year and $25 million of taxpayer money, the only real collusion uncovered was between the Clinton campaign and a small corrupt group in the FBI. The primary goals of this whole probe would appear to be the obstruction of President Trump’s ability to lead our nation and to nullify a lawful American election. In reality, if there was a true need to seek justice, why isn’t there a Special Counsel to investigate the plot to frame President Trump and the FBI and DOJ’s abuse of the FISA court? That is why I have joined a number of my colleagues on a resolution calling for the appointment of a second Special Counsel to truly seek justice. The outrageous Mueller investigation is not only a politically motivated ruse against President Trump but has a greater impact of negatively affecting our nation and every American family. The Fake News and the Washington swamp are obsessed with obstructing President Trump’s ability to lead at every turn and Mueller is perpetuating that obstruction. All of these great things happened because of President Trump’s leadership. If the President could accomplish all this in the face of overwhelmingly biased sentiments, imagine what we could accomplish outside the burden of this witch hunt. I would like to hear from you on this or any issue. Please sign up for my e-Newsletter by visiting this link. To stay up to date, you can also like me on Facebook at Congressman Mike D. Rogers, follow me on Twitter, Pinterest and Instagram at RepMikeRogersAL, on Tumblr and you can also subscribe to my YouTube page at MikeRogersAL03. This week the House Armed Services Committee (HASC) marked up the National Defense Authorization Act (NDAA) for Fiscal Year 2019 (FY19). 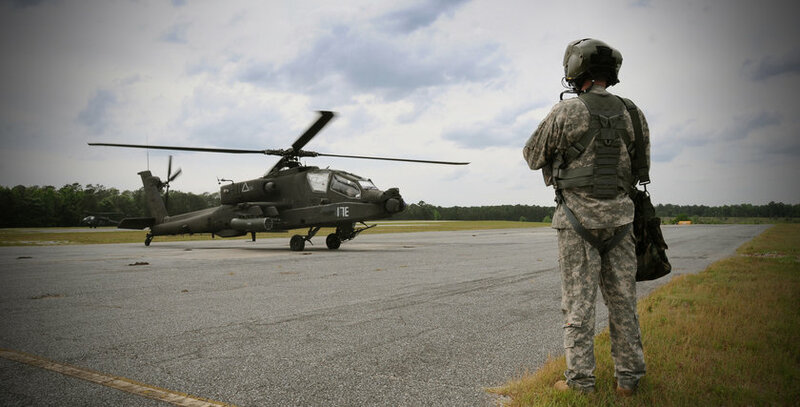 Although this bill focuses on our country’s Department of Defense, there are many pieces of the legislation that will have a huge impact back home in East Alabama. The NDAA starts by strengthening our military after years of being weakened under the Obama Administration. It gives a much-deserved 2.6 percent raise for our troops. This is the biggest pay increase in almost a decade. The Stryker A1 combat vehicle – which is overhauled and maintained at Anniston Army Depot (ANAD) – will get an increase authorizing a total of $360 million. I appreciate the committee recognizing the importance of this diverse combat vehicle after many of my colleagues from the House sent a letter to U.S. Army Secretary Esper to bring his attention to it. For the ANAD, the NDAA provides another increase in funding – $21.8 billion for equipment maintenance and $3.7 billion for spare parts. This will help ensure our troops have the best equipment we can provide them for training. The NDAA also helps the ANAD by tweaking the carry over formula to allow leaders at the Depot the flexibility needed to better manage their funding from year to year and not be penalized by issues out of their control. Big picture, the NDAA also includes some movement on an important initiative I have been working on for a couple years. It includes steps to help ensure we are on the right path when it comes to National Security Space. I was pleased to see President Trump recently reaffirmed his support for Space Force and I am hoping it will continue to gain traction. The NDAA still has a way to go in the legislative process, but I am optimistic it will be completed soon and help provide for our nation’s security and our brave men and women in uniform. I would like to hear from you on this or any issue. Please sign up for my e-Newsletter by visiting here. To stay up to date, you can also like me on Facebook at Congressman Mike D. Rogers, follow me on Twitter, Pinterest and Instagram at RepMikeRogersAL, on Tumblr and you can also subscribe to my YouTube page at MikeRogersAL03. Agriculture is such an important industry to our great State and contributes $70.4 billion to Alabama’s economy. Congress plays an important role in supporting the farm economy through the Farm Bill. H.R. 2, the Agriculture and Nutrition Act of 2018 which just passed the House Agriculture Committee, should be on the House Floor for a vote soon. As the only member of the House Agriculture Committee from the great state of Alabama, I work hard to make sure I represent the needs of our farmers and agriculture industry in the Committee and especially every five years when the Farm Bill rolls around. This year, there were many important pieces of the Farm Bill that could positively impact Alabama. First, it supports American farmers and producers by maintaining and strengthening our key farm commodity programs. Next, for our more rural parts of the country, like many parts of the Third Congressional District, it authorizes substantial annual appropriations for rural broadband and requires USDA to establish forward-looking broadband standards. It also strengthens the suite of rural development initiatives to promote jobs and economic activity in these rural areas where employment is down because of the sharp downturn in the farm economy. These initiatives are important because they will help provide critical infrastructure where it is needed most and help folks find good-paying jobs in areas work has been scarce. For our land grant schools, like Auburn and Tuskegee, the Farm Bill helps keep agriculture at the forefront of innovation and productivity through cutting-edge research and support of land grant schools. It also establishes a scholarship program at 1890 Land Grant Institutions, like Tuskegee, designed to assist students interested in agriculture. Finally, it enforces and strengthens current work requirements for Supplemental Nutrition Assistance Program (SNAP) recipients, while protecting benefits for the elderly, children and the disabled. The bill increases funding for Employment and Training from $90 million to $1 billion over three years. It’s common sense and helps SNAP become a stepping stone to success, rather than a long-term government hand out. I’m proud of the work we were able to accomplish this year in committee, and I appreciate Chairman Mike Conaway (R-TX) and his leadership on the bill. I look forward to House passage of this critical legislation very soon. As you may have recently seen on the news, President Trump has called for the National Guard to assist Customs and Border Patrol Agents with securing our southern border. The Trump Administration has made securing our porous southwest border with Mexico a top priority, and we cannot wait another minute to stop the influx of illegal immigrants, drugs and weapons that are spewing into our country. A sovereign nation is one that has control of their borders. The reality is: without border security, Americans’ lives are at risk. The list of Americans killed by illegal immigrants has continued to grow and one particular example comes to mind. On July 1st, 2015, Kate Steinle was walking with her father when she was shot and killed by an illegal immigrant who had been deported multiple times, but snuck back in to our country. Last year, Congress passed legislation H.R. 3004, Kate’s Law, to crack down on penalties for any illegal felon who has been deported from the U.S. and returned. The National Guard and military along the border will help, but America needs the wall built and needs to be built now. President Trump said Mexico would pay for the wall and my legislation, H.R. 1813, would help them do just that. The bill would build a wall with funds that would be collected by imposing a two percent fee on all remittance transactions to Central and South America. It collects this fee regardless of the sender’s immigration status. This legislation is just common-sense and would get the wall built without being a burden to the taxpayer. As a senior member of the House Homeland Security Committee, I stand with President Trump and will continue to fight for strengthening our southern border and protecting our nation from lawless, violent criminals who seek to harm Americans. We cannot put the safety of American citizens at risk any longer. Let’s face it: It can be tough to eat right. My wife and I do our best to ensure we eat a balanced, nutritious diet full of leafy greens, fish and lean proteins—but I’ll be the first to admit we’re not perfect. The truth is, most Americans aren’t perfect when it comes to their diets. National surveys consistently indicate a vast number of us aren’t getting all the nutrients we need from food alone—and that’s a problem. For some of us, busy schedules and the attraction of quick, easy food on the go makes it difficult to eat three balanced meals a day—but we can always work toward making healthier choices. However, for 45 million Americans—those living in poverty—the option of eating healthier isn’t always available. Alabama has the sixth highest poverty rate in the United States, with 18.5 percent of its citizens living below the federal poverty line. This means many families in our state are faced with the difficult decision of purchasing food based on price rather than nutritional value. Lower-priced foods can be high in calories, but may lack nutritional value, and many Alabamians must place a priority on getting the most food for the least amount of money. As a result, government data shows 40 percent of Americans in the lowest income bracket are deficient in one or more essential nutrients. These families are made up of our friends and relatives, our coworkers and neighbors and they deserve every opportunity to be healthy. That is why I introduced HR 3841, the SNAP Vitamin and Mineral Improvement Act, a bill that would allow low-income Americans to purchase a daily multivitamin-mineral supplement with their Supplemental Nutrition Assistance Program (SNAP) benefits. This bill would add choices to SNAP while keeping the program’s cost the exact same. Multivitamins are not a replacement for a healthy diet, but these supplements can help fill nutrient gaps by providing shortfall nutrients folks aren’t getting from their daily intake of food. Safe, convenient and scientifically-supported, multivitamins represent a cost-effective, immediate solution for SNAP recipients looking to improve their nutrition status and ensure their families receive adequate intake of essential vitamins and minerals. Making good choices about nutrition and lifestyle can help prevent chronic diseases and improve health. When we’re healthy, we miss fewer work days, we have more energy and we’re able to make better choices for ourselves and our families. These choices pave the road for success, and the choice to start the day with a multivitamin is the first brick folks can lay to ensure the path to good nutrition stays clear. My goal as a legislator is to help people reach a point where they no longer need their SNAP benefits, and HR 3841 brings us one step closer to achieving that goal. It is my hope that by empowering low-income Americans to achieve optimal nutrition, SNAP recipients will develop lifelong habits that will eventually break the cycle of poverty and allow them to reach their full potential. Being healthy requires effort, but should not be an option limited to the financially well-off. Access to a multivitamin supplement is an obvious first step in helping low-income Alabamans lead healthier, more productive lives. America may be a country of immigrants, but it’s also a country of laws. No one is exempt from those laws regardless of what some local officials in sanctuary cities may think. As you may have seen on the news recently, Attorney General Jeff Sessions recently announced a lawsuit against the State of California for failure to completely cooperate with federal immigration enforcement officers. I stand with AG Sessions’ decision. From the mayors and local politicians disregarding federal immigration law to the illegal immigrants they are prioritizing over American citizens, it’s about time we hold these lawless individuals accountable. The “leaders” in these cities are violating their oath of office and the Constitution. They should be immediately removed from their positions and the illegal immigrants they are protecting should be deported. Period. I agree with President Trump that we need to strengthen our borders. We should build the wall and we should continue to support law enforcement’s crackdown on violent foreign gangs like MS-13. These efforts mean nothing though if illegal immigrants and criminals can continue to seek refuge in some of our country’s largest cities. It boils down to fairness, safety and what it means to be a sovereign nation. A country without borders is hardly a country at all. I’m fed up with seeing the tax dollars from hard-working families across East Alabama go to cities who snub their nose at the very ideals that make America great. Congress should withhold funding from sanctuary cities that refuse to uphold federal law. President Trump has proven his tough stance on illegal immigration is much more than just campaign rhetoric. He has already done so much to curtail our illegal immigration crisis but he can’t do it alone. Elected officials – from the state and local level to Members of Congress – must do their part. And if they refuse, then they aren’t fit for public service. (WASHINGTON, D.C.)—After over 30 years of working under an outdated tax code, local businesses and folks across East Alabama and the entire country, are feeling the benefits of the Tax Cuts and Jobs Act. This important legislation passed the House with my strong support and was signed in to law by President Trump this past December. The majority of folks will see an increase in their take home pay because of the lower tax rates and larger standard deduction. The federal tax withholding should also be less than before for most Americans. In addition to those seeing a bigger paycheck, over three and a half million Americans, as of writing, have received a bonus or raise as a direct result of the tax reform bill. Companies in the United States have distributed over $3 billion in bonuses. In the Third Congressional District, Russell Lands in Alexander City, gave $500 to each of its 500 employees after the bill became law. Recently, I visited Russell Lands Chairman Ben Russell and his employees to congratulate them. I also spoke on the House Floor to recognize this exciting news. Folks in Russell County are also benefitting from the legislation. Just over the Georgia line in Columbus, AFLAC, Synovus and Total System Services each gave their employees bonuses because of the bill. Further, Regions Bank in Birmingham, Cogent Building Group in Point Clear and DTI in Mobile have also given bonuses to their employees. These bigger paychecks and bonuses can help families save for their kids’ college tuition, get a new washing machine or make a car payment. The money going back in folks’ pockets represents opportunity. I would love to hear how this historic tax reform is helping you. Please sign up for my e-Newsletter by visiting this link. To stay up to date, you can also like me on Facebook at Congressman Mike D. Rogers, follow me on Twitter, Pinterest and Instagram at RepMikeRogersAL, on Tumblr and you can also subscribe to my YouTube page at MikeRogersAL03. 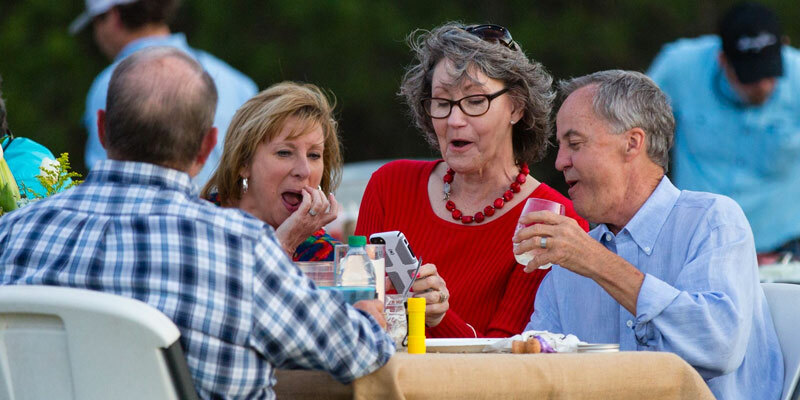 Every year during the Christmas season, I like to take some time to highlight a few of the great things folks are doing for each other across East Alabama. Below is a small sampling of what is going on in the Third District. 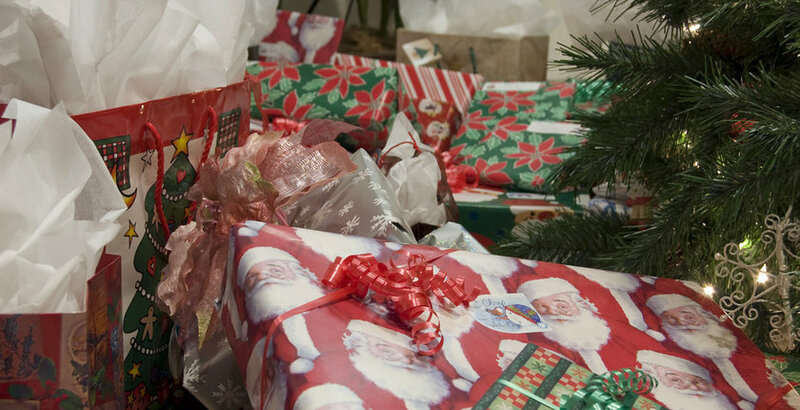 In Randolph County, the Pilot Club provides toys for less fortunate children in the area. Across Chambers County, the Christian Service Center provides food, clothing and gifts for families in need. In Macon County, the Tuskegee Fire Department participates in “Toys for Tots.” The City of Tuskegee and Town of Shorter employees adopt families through DHR for Christmas and the Macon County Ministers Council provides for families in need. In Talladega County, folks in Sylacauga participated in the Second Annual Stuff the Bus Food and Toy Drive. Last year, the efforts fed more than 4,200 in December and provided over 100 families with toys. This year, the food and toy drive was triple last year’s totals. In Talladega, Honda Manufacturing of Alabama gave toys and food items to needy families in the area. In Calhoun County, the Knox Concert Series in Anniston continued its four-decade tradition and held two school day performances of The Nutcracker for free for the third grade students in the area. In Montgomery County, at Pike Road Town Hall, hygiene and food items are being collected for the Central Alabama Veterans Health Care System and the Food Pantry at Woodland United Methodist Church. First Baptist Church (Ripley Street) ‘Meals on wheels’ programs serves hundreds throughout the city. In Russell County, the Mayor’s Charity Ball in Phenix City provides annual scholarships to over 20 students in Russell County. Donations come from local business owners. It is always amazing to me to see how much our brothers and sisters across East Alabama do for one another. Let’s keep that spirit up throughout the year instead of just during the holidays. Please sign up for my e-Newsletter by visiting www.mikerogers.house.gov. To stay up to date, you can also like me on Facebook at Congressman Mike D. Rogers, follow me on Twitter, Pinterest and Instagram at RepMikeRogersAL, on Tumblr at www.repmikerogersal.tumblr.com and you can also subscribe to my YouTube page at MikeRogersAL03. As you may have seen in the news, the Conference Report to accompany H.R. 1735 – National Defense Authorization Act (NDAA) for Fiscal Year 2016 passed the House of Representatives. We can all agree that providing for the common defense is our government’s most important duty. Each year Congress passes the defense bill to make sure that the Pentagon has the resources and flexibility they need to fulfill that mission. I was appointed to serve on the conference committee and worked with a bi-partisan and bi-cameral group of Members to iron out all the details of this crucial piece of legislation. Besides authorizing funding for the Pentagon to fund our military and help keep our nation safe, this bill included language that could directly affect folks across the Third District. One piece of the bill I was thrilled about was language similar to my amendment to allow the Army to transfer its surplus vintage firearms to the Civilian Marksmanship Program (CMP) to sale. Although the final language was not perfect, I am pleased it was included. This means the excess M1911A1 pistols, better known as 1911s, which used to be the standard U.S. Armed Forces sidearm, will be transferred to the CMP for them to inspect, grade and prepare to sell. Currently these excess 1911s are sitting in storage costing the taxpayer roughly $200,000 a year. So in the near future, the public will have the chance to purchase this vintage collectible firearm. The second inclusion that could impact East Alabamians is the language that would prohibit furloughs at Working Capital facilities as long as there was funded workload. Working Capital Fund facilities include the Anniston Army Depot, one of the largest employers in the area, so I am pleased this language will help offer those employees a little more security for the vital work they do for our brave warfighters. Although the NDAA has passed the House of Representatives, at the time of this writing, it still must pass the Senate and then be sent to the President for his signature. President Obama has threatened to veto this bill. I urge him not to play games with our national security and to sign this important bill. Congressman Mike Rogers represents Alabama’s 3rd District. Properly funding our military is one of Congress’ most important jobs and critical in keeping our homeland safe and ensuring our country’s readiness. People across the globe look to the United States for leadership when it comes to our military. But our prestige as the world’s most dominant military will be in danger if Congress doesn’t do more to ensure our military remains strong. On the Armed Services Committee, my focus continues to be strengthening our national defense. Recently, I was selected to serve as a key negotiator on discussions between the House and Senate versions of the National Defense Authorization Act. From my perspective, you can’t win a war if you don’t have the best equipment to fight a war. Back home, the Anniston Army Depot is one of the most efficient maintenance and repair facilities in the entire military. I was pleased about two amendments included in the House-passed version of the Defense bill that would help protect jobs at facilities like the Anniston Army Depot. You may have seen on the news recently the Army announced cuts in the active duty military due to the relentless defense budget cuts imposed by President Obama. From his first day in office, Obama has sought to cut funding for our national defense. From the push for sequestration to his current veto threats of defense authorization and appropriations, these actions are threatening the creation of a shell of a military to face our very real threats in this dangerous world. Another area we must focus on is new, non-traditional threats. Not all our enemies are on the land, air or sea. Space is the next battlefield. Assured access to space and the pressing national security issue of reliance on foreign rocket capabilities is one of my top priorities. We cannot ignore this because of the very important role space plays in our national security. Anyone across Alabama who has taken a flight over the past few years knows what a long and frustrating event the passenger screening process can be as folks make their way with their belongings to their gate of departure. After the 9/11 terrorist attacks on U.S. soil, the Transportation Security Agency (TSA) was created to help prevent any further attacks and strengthen the security of our aviation system. Unfortunately, TSA has become one of the most dysfunctional and despised agencies in the Federal government. I did not serve in Congress when TSA was created, but as a current member of the Committee on Homeland Security and former Chairman over Transportation Security subcommittee, I have been and remain an outspoken critic of the TSA. Jokingly, some folks say TSA stands for “Thousands Standing Around,” and we are all familiar with their famous mishaps like treating a 95-year-old cancer patient like a terrorist. But now, more troubling, we learn that TSA failed 67 out of 70 government tests to detect weapons or fake explosives. I believe TSA is a failure because it is a bloated bureaucracy that wastes millions of taxpayer dollars while trampling on the privacy of innocent Americans. The purpose of the hearing was to discuss the vetting of the TSA workers after it came to light that over 70 aviation workers across the country had some sort of ties to terrorism. Again, it is unfathomable to me that this is even happening. We cannot take risks when it comes to the safety of our traveling public and our homeland. TSA, as it is currently structured, is a massive failure that can’t even get its most basic task done right. It is time to clean house at TSA and reinvent it as a smarter, leaner organization that incorporates private sector ingenuity. Across East Alabama, many of you may agree with me that the United States’ participation with the United Nations (U.N.) should end immediately. The U.N. continues to prove it’s an inefficient bureaucracy and a complete waste of American tax dollars. Although the United States makes up almost a quarter of the U.N.’s annual budget, the U.N. has attempted a number of actions that attack our rights as U.S. citizens. To name a few, these initiatives include actions like the Law of the Sea Treaty, which would subject our country to internationally-based environmental mandates, costing American businesses more money, or the U.N.’s work to re-establish an international regulation regime on global warming which would heavily target our fossil fuels. The U.N. has also offered a potential Arms Trade Treaty which would threaten our Second Amendment rights and impose regulations on our gun manufacturers, who are already facing regulations and pressure from the Obama Administration. Lastly, the U.N. does not support Israel and voted to grant the Palestinian Authority “non-member state” permanent observer status. Anyone who is not a friend to our ally Israel, is not a friend to the United States. Because of these actions among others, I introduced H.R. 1205, the American Sovereignty Restoration Act of 2015. My legislation would end our country’s participation in the U.N. and any organizations affiliated with them. Why should the American taxpayer bankroll an international organization that works against America’s interests around the world? The time is now to restore and protect American sovereignty and get out of the United Nations. As many of you across East Alabama may have seen or heard in the news, the National Defense Authorization Act recently passed the House of Representatives with my strong support. This critical piece of legislation outlines how Congress will support our nation’s military. I was relieved to see that Congress increased the overall authorized funding for our nation’s military. Several key provisions important to East Alabama made it into the bill. The first was a commitment to help protect jobs at important military facilities like the Anniston Army Depot, one of the Army’s most productive and efficient facilities. Folks across East Alabama may remember a few years ago when the Depot had to furlough some workers because of the Pentagon’s poor budget management. This new provision would protect facilities like the Depot that operate under the Working Capital Fund from being forced to furlough workers in order to meet arbitrary budget demands from the Pentagon. Another was my amendment to allow the Army to transfer its surplus vintage firearms to the Civilian Marksmanship Program (CMP) which has its southern headquarters in Anniston and will soon have the CMP park open in June in Talladega County. If you’re a gun owner like I am, you may be familiar with the M1911A1. This iconic pistol used to serve as the standard U.S. Armed Forces sidearm, until it was replaced by the Berretta 9mm pistol. Although a few thousand of these pistols have been sold to foreign countries for a small fee, the remainder are being held in storage. That costs the taxpayer about $200,000 a year. As a strong supporter of Second Amendment rights, I believe this bill is a common-sense approach to not only save the taxpayer money, but allows gun collectors to add this vintage pistol to their collection. It is my hope that both provisions will stay in the bill as the process moves forward in the Senate. I also hope the Administration will ultimately support them. Providing for our national defense is a top priority to keep our country safe and our defenses strong. WASHINGTON, DC — Every year, every one of us across East Alabama prepares for and usually dreads Tax Day. That day in mid-April when we ensure we have gotten our tax returns filed on time. According to the non-partisan Tax Foundation, each American will work 107 days just to pay their Federal, state and local taxes. That’s a lot of work, and Americans are rightly asking these days what exactly they’re getting for their tax dollars. It goes without saying that during these tough times, we should not be increasing the number of days people must work just to pay their taxes. As of writing, taxes are not only on the minds of families and businesses, but they continue to be a hot topic on Capitol Hill. Lawmakers in both the House and Senate are taking different approaches to revamp our complicated, cumbersome tax system and help contain our rapidly rising debt. I am most interested in pursuing a simplification of our tax code. A flatter and fairer tax code with fewer loopholes would go much farther toward leveling the playing field and helping bring our massive debt under control. Getting this done shouldn’t be so difficult. Our tax code is too large, too long and costs Americans far too much in time and expense just to comply with the IRS. With the national unemployment rate at 8.2 percent and Alabama’s unemployment rate at 7.6 percent, I also believe as Congress debates this issue that now is not the time to raise taxes on any American. We should be focused like a laser on trying to save and create good paying jobs in this weak economy, especially by our small businesses. Just this week, the House of Representatives passed a bill that addresses both taxes and helping our small businesses. The Small Business Tax Deduction bill, which I voted for, would cut taxes for small businesses of 500 people or less by 20 percent, helping small businesses thrive and grow. This bill is one of over 30 the House of Representatives has passed to help America’s job creators. By providing some tax relief, these small businesses should be able to create and keep good paying jobs across the country. The tax reform debate will continue throughout this year. If you have ideas as to how we can make the tax code simpler and fairer, please send me your thoughts. As always, contact me on this or any issue by visiting my website. You can also become a fan on Facebook, follow me on Twitter, and subscribe to my YouTube.